Welcome to our land of opportunities ! 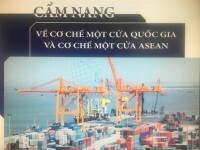 According to the latest information from the General Department of Vietnam Customs (GDVC) – Standing Office of National Steering Committee on ASW, ASW and Trade Facilitation, in this December, the unit will collaborate with the relevant ministries and sectors to proactively implement related works to exchange information on C/O via ASW with the 3 ASEAN countries from 1 January 2018. Regarding the result of NSW implementation, according to the latest information from the GDVC, at the end of November 2017, more than 15,100 enterprises have collected with the NSW with more than 602,000 dossiers processed. Total procedures which have connected with the NSW were 41, excluding Customs clearance procedures of the Ministry of Finance. Among 11 connected ministries and sectors, except procedures related to the Customs clearance, the Ministry of Transportation was considered as a unit which has the largest number of enterprises and dossiers processed via NSW with nearly 200,000 dossiers and 7,000 enterprises. Copyright © 2009–2015 Pearl River . All rights reserved.